Another day, another old gem found! 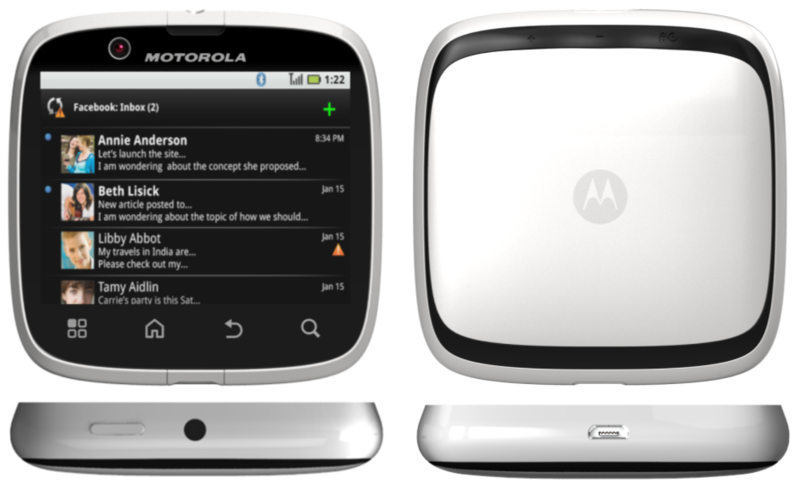 This is a Moto concept phone from seven years ago, called the Motorola SQUARE, or at least that was the project name. You can see why it's called like that, though. 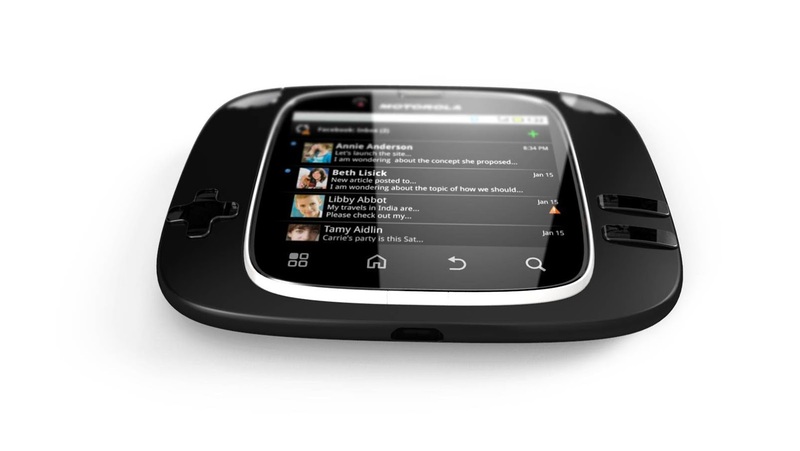 In many ways, this looks like some of the low-end smartphones Motorola released back in 2010 and 2011, right? 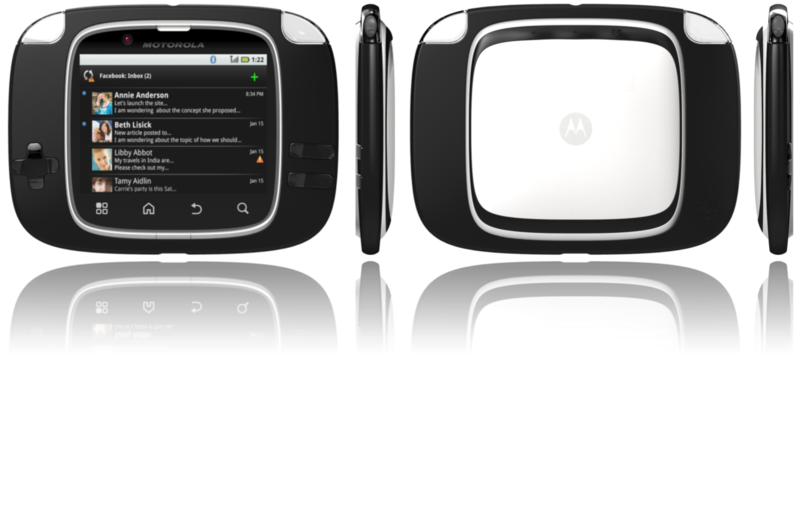 The navigation buttons, the boxy design and the overall feeling makes it look like it. In terms of specs, you would be looking at a low-end device. 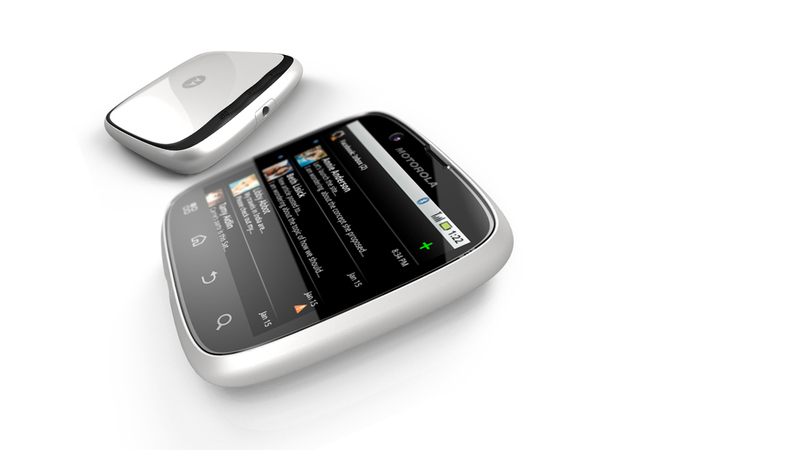 It comes with a big Motorola wordmark on the front, physical navigation buttons, and a 3.5mm jack on the top. The tip suggests a rather small 3.2" screen, most likely at HVGA. 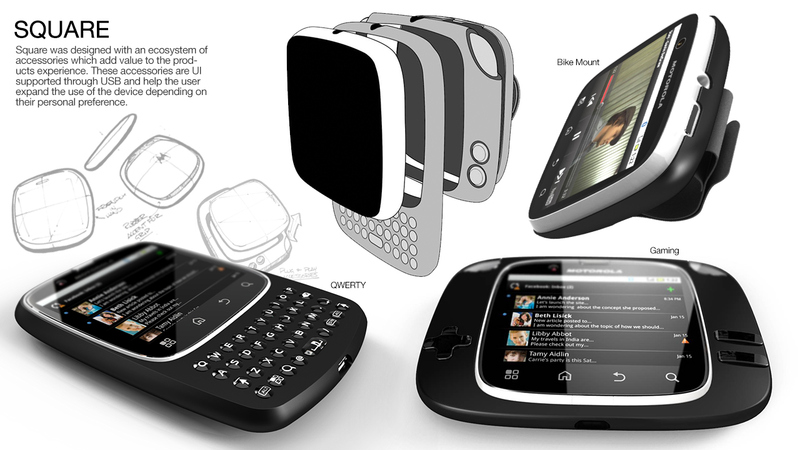 It's very interesting to see you would be able to add some accessories to it, similar to the MotoMods platform, but in a more primitive way. There's a gamepad with dedicated gaming buttons, and in the next picture you can see a QWERTY keyboard and a bike mount. Where's the camera, though?